Exercise is vital to healthy living. In fact, the American Heart Association recommends at least 150 minutes of continuous vigorous fat-burning aerobic exercise per week for optimum heart and lung health, and this number does not include the amount that one should be spending on strength training. However, while some individuals get pure joy out of heading to the gym and sweating off the pounds, others cannot stand the site of a room packed with weights, treadmills and other exercise equipment. For those who find repetitive exercise to be the pinnacle of boredom, an active hobby that gets them out of the house and into nature or a social setting can be just the thing to keep them in shape and help them shed pounds. Consider one or two of the following four hobbies for year-round enjoyment and health. Gardening is a great active hobby for three out of the four seasons for those who live in northern climates and all year long for those who live in southern climates. Gardening can burn a surprising number of calories, with active tasks, such as hoeing, raking, weeding and shoveling burning as many calories in an hour as a four-mile jog would. Plus, individuals who garden can enjoy the fruits of their efforts by supplying their own kitchens and their neighbors’ kitchens with fresh fruits, vegetables and flowers. While spring seems to be when most gardening takes place, summer is prime time for continual weeding, and fall is the best time for pruning many shrubs and perennials. While skiing may not seem like a hobby, it can become one for those who love to travel. Numerous areas in the United States boast great ski mountains, such as Powder Mountain and Cherry Peak, which are part of Ski Utah, as well as Lake Tahoe in California and Aspen in Colorado. 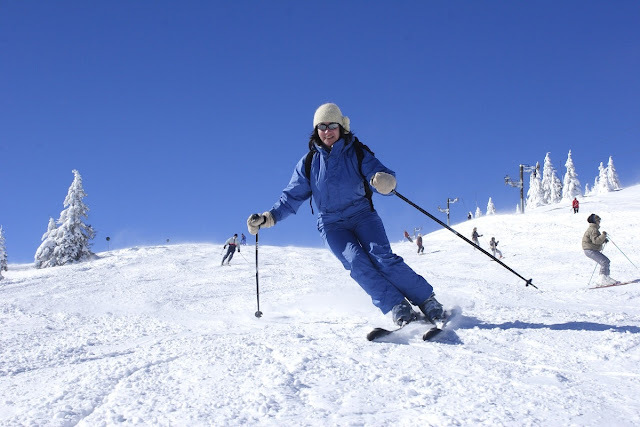 Downhill skiing is a full body exercise that uses the arms and legs to balance. Look for discount lift tickets in Utah to help keep the costs down with your hobby. Cross-country skiing is particularly good for the muscles in the legs and helps to tone the abdomen. In fact, skiing can burn up to 3,000 calories for those putting in six-hour days on the slopes. Novice horseback riders may believe that the horse does all the work and the person is just along for the ride. However, horseback riding burns a surprising number of calories for a sitting exercise with up to 400 calories being burned while galloping a horse. Depending on the type of horseback riding, it may or may not qualify as cardio exercise. However, it provides amazing balance and strength training as the core muscles fight to keep the body upright on the horse. Increase calorie burn by grooming the horse following the ride. Nearly any type of dancing that is not a slow dance burns an amazing number of calories, tones the legs, arms, abdomen and back and functions as a fat-burning cardio exercise. Swing dance is fun for burning calories in social situations, but tap dance or hip-hop are also good cardio burns that use the whole body. Those looking for a dance that feels more like exercise could try a zumba or jazzercise class or could even try ballroom cardio. No matter the season of the year, an individual can use one of these hobbies to stay active while also finding enjoyment. Getting out into nature can be a great place to start, but many social events are also studded with opportunities for activity, such as dancing, playing active games, fun and fat-burning sports, or even just walking. By making a few simple changes, individuals will not have to feel that they are tied to the gym and will instead feel great freedom in their lifestyles. Also read my Free Ski Training Guide.